Harry Dreyfuss, the son of actor Richard Dreyfuss, says Kevin Spacey groped him in 2008, adding another allegation to the mounting claims against the "House of Cards" actor. In a guest column published Saturday by Buzzfeed, Harry Dreyfuss said the occurrence took place while his father was rehearsing at Spacey's London apartment for the play "Complicit" at the Old Vic theater. Dreyfuss was 18 at the time. He said he didn't tell his father about the encounter for several years. An attorney for Spacey didn't immediately respond to messages Sunday. 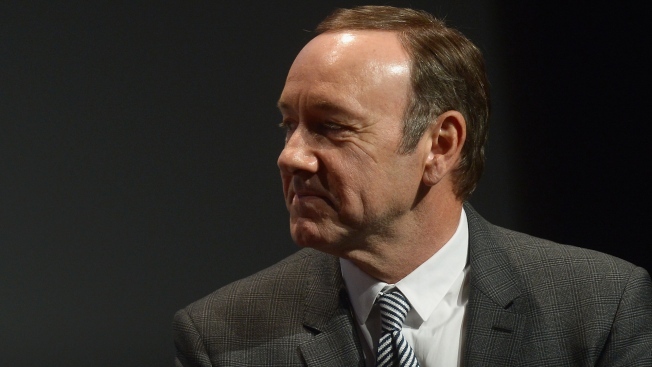 Netflix on Friday cut ties with Spacey after numerous allegations of sexual harassment and assault were leveled against the 58-year-old actor. London police are reportedly investigating Spacey for a 2008 sexual assault. Harry Dreyfuss tweeted that he's received tremendous support for telling his story. "Let's extend this love to victims who don't come from famous families, and make ALL abusers fear consequences," he added. Both his parents took to Twitter that they were proud of him for telling his story. "I love my son @harrydreyfuss more than I could explain with all the words in the world. And I am so incredibly proud of him right now," Richard Dreyfuss said. "I am his mom and I am totally proud of @harrydreyfuss for writing this," Jeraime Rain said. "Have known this story for years, but only knew the truth last XMAS."